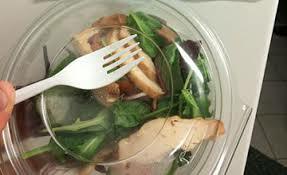 Many may have missed the latest episode surrounding racecourse meals provided for the jockeys. Danny Mullins was the latest rider to lose his rag over the quality of grub supplied to the guys and gals on the front line of our great industry. It’s just possible that he may end up paying far more than the €5 Killarney charged for a salad, if Cathy Gannon’s experience is anything to go by. Of course the standard of food is a very subjective matter. The offending salad may well have appealed to the likes of Flat Jockey George Baker, who has to survive on far less to maintain his riding weight. In May Cathy Gannon was fined for raising the issue in similar fashion when she tweeted a picture of food at Newbury Racecourse. She took photos of two dishes and said: “This is the quality of food at @NewburyRacing this is our fuel #athletes.” Following a report from the clerk of the course stating that Gannon had taken a photograph on her mobile phone from within the jockeys’ changing room, which she later put on Twitter, they interviewed the rider. Thankfully Cathy’s colleagues helped pay for the fine and thereby softened the blow. Danny Mullins may need similar assistance should the matter at Killarney be taken further. Mullins did go on to praise Gowran Park and Wexford racecourses for the way they have improved the quality of their food, and added that Galway, Leopardstown and Punchestown also provide better quality nourishment. The Professional Jockeys Association has their own Nutrition team, tasked with supporting and educating riders on foods essential for a successful career. Just how close a relationship they have with racecourses is unclear, and is something that I am currently looking into. But it seems likely that racecourses may well benefit from a level of input from the PJA Nutrition experts, hopefully setting a standard that both jockeys and the courses could agree on. A huge fine for a disgruntled and hungry jockey is simply unacceptable. Let’s hope this latest voice is heard and acted upon in a rather more positive fashion. No joy for us yesterday, as Sail Home didn't exactly do that! There didn't seem to be anything there when the question was asked, but I'm sure Matt will get an explanation when he next sees the trainer and jockey! Trainer John Spearing isn't one of the biggest names in the business and he doesn't have the biggest string of horses in his yard, but he does seem to send a fair proportion of his runners out to run at Chepstow. His record over the past two years at Chepstow is very good: 8 winners from 19 (42% SR) for a profit of 21pts, which is bettered further if we look at handicap races only, where the record is 7/16 (44%) for 21pts profit. Therefore, it's fair to say that he excels in this part of his overall strategy. In true SotD style, he has just one runner out today and it runs in a Chepstow handicap, of course! And the horse is Croeso Mawr, which I believe loosely translates as the Welsh for "a big /warm welcome" and hopefully he'll be getting that in the winners' enclosure around 5.35pm today! Croeso Mawr looked like she needed the run on her seasonal debut last time out and is sure to come on for that run, even if she was pushed a little too hard that day. Cathy Gannon is on board today and is likely to give her mount a more relaxed ride, saving a little for the run in, which should suit our filly better. Click here for the latest odds on the 5.30 Chepstow. 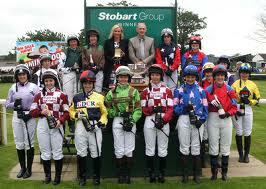 Where are all the women jockeys? https://www.geegeez.co.uk/wp-content/uploads/2018/09/geegeez_banner_new_300x100.png 0 0 IanS https://www.geegeez.co.uk/wp-content/uploads/2018/09/geegeez_banner_new_300x100.png IanS2012-02-22 22:00:192012-02-22 23:49:20Where are all the women jockeys? If truth be known, I was waiting for AP to win Sports Personality of the Year before giving away any awards at all. It would have been a travesty of justice had he not won the biggest popularity contest in sport but havenâ€™t we been saying that for the past few years? What it does show is that the wider public are taking note of not only this great man but racing itself. 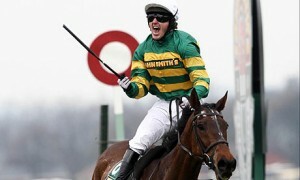 I can guarantee you that the sport will gain at least a few more racegoers in 2011 because of McCoyâ€™s victory in the BBC award - people will want to see the legend in the flesh, experience what itâ€™s like to cheer him home. But even for those who voted against him, the win has opened their eyes to the Irishmanâ€™s talent and dedication, as well as showing them what racing has to offer. A friend of mine admitted that that he had â€˜googledâ€™ the jockey after seeing him on the awards show - he can now appreciate the manâ€™s achievements and letâ€™s hope a few other people do as well. Wow, this was a tough call. Two fillies stood out for their consistency, toughness and resilience. Both had racked up the air miles after a busy season and both had shown the world how good they really are. Snow Fairy was exceptional in 2010 - improving from maiden all-weather winner to dual Oaks victor in the space of a few months is an unbelievable upward curve but Goldikova just edged the decision. Royal Ascot, Longchamp, the Breedersâ€™ Cup, â€˜Goldiâ€™ raced and won at them all. Success in the latter, her third Cup, was history-making and mind-blowing. In essence, sheâ€™s a no-nonsense, do-it-all wonder-mare. The only blip came with defeat to Makfi on her hated soft ground. 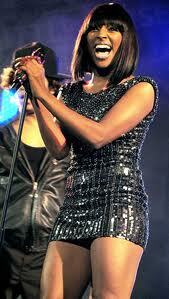 Weâ€™re all forgiven a few blips, and this was her only one on an otherwise unblemished record. Rumour has it that she may even stay in training for another year. Usually Iâ€™d be delighted at such a decision but a horse like this has nothing left to prove - all the big races have been won and a retirement to breed some more superstars is surely the future she deserves. 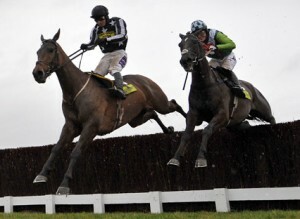 It was billed as the deciding duel between two true heavyweights of the game: Kauto Star and Denman. Alas, the bout we were promised never materialised. Instead we were left to ponder the merits of Imperial Commanderâ€™s win: was it a fluke or is this a genuine champion? It seems we will find out for certain this year. The race itself was a rare, edge of your seat, face behind fingers charge. Carruthers led the field at a ferocious tempo, Kauto made a horrendous mistake down the back, Denman took up the pace-setting with a circuit to run, Kauto fell heavily at the top of the hill and Imperial Commander emerged from the chaos surrounding him to land the Cup. The three big dogs will be back for another crack this season and Paul Nichollsâ€™ pair will be slight underdogs as they bid to regain the crown. Age may have caught up with them but they can still run most rivals ragged. The new order of steeple chasers may be emerging but the old guard can still sleep easy at night and think to themselves: â€œYou ainâ€™t seen nothingâ€™ yetâ€. Many hung jockey Mike Smith after getting the unbeaten super-filly Zenyatta beaten at the Breedersâ€™ Cup but at least that pair had been victorious during the season. There is an undoubtedly talented horse, one who has some of the best form in the history of horseracing yet couldnâ€™t get his nose in front during the twelve months of 2010. Step forward Youmzain. Thrice second in the Arc (behind Zarkava, Dylan Thomas and Sea The Stars), his season highlight was a desperate loss in the Grand Prix de Saint Cloud where he lunged late but couldnâ€™t hit the front where it mattered. Come Arc day this time around, many (including yours truly) thought, in Tim Henman style, â€˜is this his year?â€™ The result? A miserable 10th place, and an emphatic 'Non, Monsieur!'. 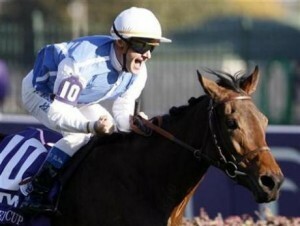 It may just be that Paco Boy was never good enough to beat the once-in-a-lifetime mare Goldikova but I beg to differ. Five times the pair met and five times â€˜Goldiâ€™ came out on top. What baffled me was why, every time, Paco Boy was held up at the back of the pack in the early stages thus gifting the French-trained filly a five length headstart? Surely it would have made more sense to sit on her tail, let her do all the donkey work and then pounce in the shadow of the post. Cop on lads! 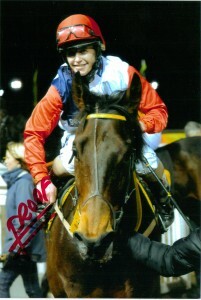 Now there may be just a hint of home bias here (ahem), but the Geegeez Racing Club had plumbed the depths before rising to new heights, and our first ever win, when Khajaaly fair bolted up at Wolverhampton on 19th November. That he was 25/1 doesn't tell the full story. All members were told that he was fancied, and most members got stuck in, leaving bookies tending some fairly gaping financial wounds. Worse was to follow for the bookies, as our 'Charlie' followed up on 10th December, this time as the 3/1 favourite, backed in from 4's. 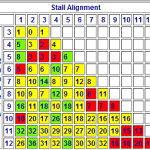 That double victory looked extremely unlikely for those fellow members who were present at Kempton (10th of 11) or Lingfield (9th of 10) prior to Charlie's break. We now know our boy needs a rest between his runs, and he'd clearly been overraced previously. There's 50 of us hoping he starts the New Year the way he finished the old one. Of course, he owes us nothing now, but we'll still be hoping for 'thirds' in the coming weeks. - Jacqueline Quest losing the 1000 Guineas in the stewardsâ€™ room. Your heart had to go out for her paralysed owner, Noel Martin. - Johnny Murtagh bulldozing half the field to bag the far rail on Starspangledbanner in the July Cup. - Everyone scratching their heads and asking â€˜how did that happen?â€™ when Sole Power won the Nunthorpe at 100/1. - Restless Harryâ€™s bone-crunching fall when going well in the Albert Bartlett at the Festival. It was a relief to see him walk away unscathed. - Veteran Well Chief rolling back the years by beating Master Minded at Cheltenham.